Since the advent of modern computers, the job application process has certainly become more complicated than it once was. These days, instead of a typed letter of intent sent along with your resume via snail mail, to be screened by an HR clerk perhaps on the other end, you now have Application Tracking Software, massive job board application systems, and “shot-in-the-dark” emailing to hiring managers, all of which has made your job search a hundred times easier and a million times harder than it ever was before. Imagine the postage and time necessary for each application in the past… now, it’s just a few button pushes and your resume is carried along automatically to the hiring company… to be trapped in an email spam folder, or discarded by an ATS robot for something as simple as using “online content” instead of “digital content”. You’re also certain of getting into a much bigger pile of applications than ever before, as the ease of applying means dozens, if not hundreds, of totally unqualified people send along their resume as if it’s nothing, for just the merest possibility of an interview, or out of shear desperation, making it easier and easier for your resume to get lost in the shuffle of human and robot eyes. So, it’s now become common to hear the advice “tailor your resume” to get around these obstacles. If you tailor your resume to a particular company and role, the choir says, it will have a much better chance of sneaking through the filtering of robots and a greater likelihood of being noticed by tired HR clerks, which in turn increases its chance of eventually being seen by hiring managers and the real decision makers. The instructions are clear: no more stock and bog-standard resumes. Now, you’re making the suit fit the wearer. Certainly a lot more work than before. But a major question remains: how do you craft a tailored resume? First things first: Sit down with a highlighter and really read the job description. Go through and highlight the points that seem important (think the ones that are mentioned repeatedly or anything that’s slightly out of the ordinary) and the points that you could speak to with your particular experience and skills. This is always step one—after all, you can’t tailor your resume for a position if you don’t really know what the gig entails. Next, with your newfound knowledge of what the hiring manager is looking for, take your resume, find the experience that would make him or her most excited about your application, and rework the document so that’s what’s at the top. Maybe it’s your current position, or maybe it’s some specialized certifications or the freelance work you do on the side. 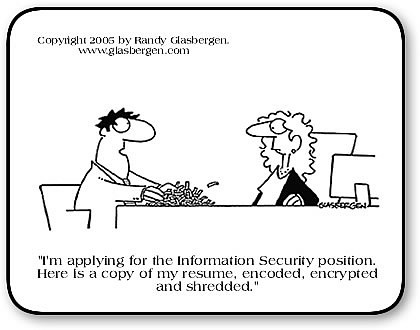 Whatever it is, make it the first section of your resume. And yes, even if it’s not the most recent. There’s no rule that says your first section must be “Work Experience.” Tailoring your resume means finding what is most relevant, creating a section for it, and filling it up with experience or qualifications that will catch a hiring manager’s eye. If that means nixing “Work Experience,” creating a “Marketing and Social Media Experience” section, then throwing everything else in an “Additional Experience” section, then so be it. Now that your relevant experiences are at the top of your resume, that doesn’t mean you should ignore everything else. Nope, it just means you need to pull out the relevant bits of those experiences in your bullets. From the job description, you’ll likely find more than just the technical qualifications needed to complete the job. Strong communication skills, ability to work in a team, and other soft skills are probably listed as well. So, while your tutoring experience might not be directly related to the sales position you’re interested in, you can definitely still highlight some of the soft skills that both positions require. Finally, your last quick assessment to make sure you’ve successfully tailored your resume is to see if someone else—like a friend or mentor—can explain why you’re interested in the position just based on reading your resume. If your friend can’t suss out why you’re applying or how you’re a good fit, then more tailoring is likely needed. This largely used to be the role of the cover letter, and many companies and hiring managers still appreciate receiving these, but because of the shear number of applications they will likely be reading through, you can’t rely on them ever reading or even seeing it… so you’ll need to factor this into the resume itself as well. Of course, sometimes there’s only so much you can do. If you’re making a big career change and you just don’t have the relevant experience, then no amount of tweaking bullets can spell that out. In this case — and only in this case, I might add — you may actually want to use an objective statement to properly explain your interest in the position. Tailoring your resume, especially if you’re applying for a lot of positions, certainly isn’t the most exciting or enjoyable part of applying for a job, but it’s definitely one of the most important these days. After all, regardless of media reports to the contrary, the resume is not a “dead” document and is still essential… and it’s the document that decides what first impression you make. It might take a little extra work, but it’s worth it to be that much more memorable. This entry was posted on Thursday, September 15th, 2016 at 6:48 am	and is filed under resume writing. You can follow any responses to this entry through the RSS 2.0 feed. You can leave a response, or trackback from your own site.